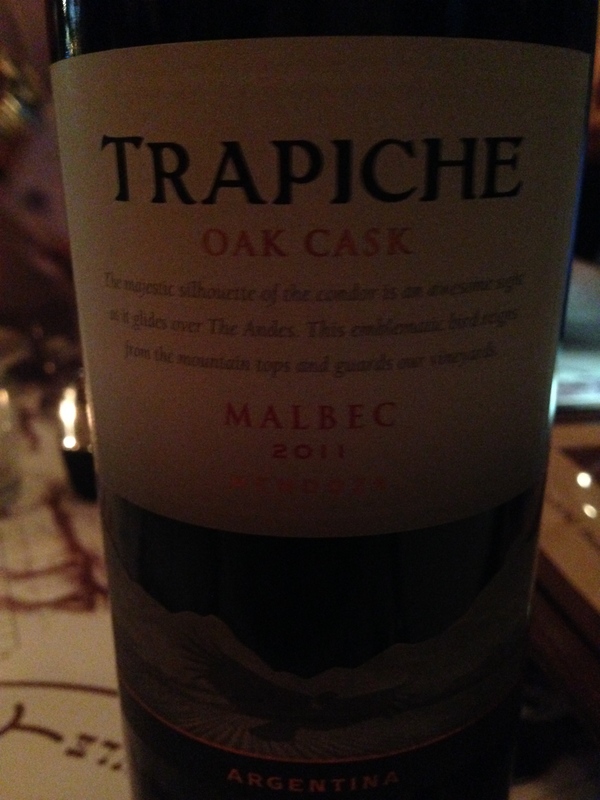 As the name implies, there’s lots of oak in this basic Malbec. We drank it with charcoal grilled beef sweetbreads and it was a perfect match. The charred edges of the food paired well with the oaky blueberry fruit and the tannins, although slight, agreed with the lightness of the dish. The color of the wine was as expected and the nose was heavily oaked. I’m all for the use of the wood as long as it is done deftly. I knew what to expect with this one and was pleased. Simple in structure, it was easy to drink and all the guests enjoyed it. Reasonable at about $10, I would give this wine 88 points and 4 stars. It was the juicy Malbec I was searching for the other night. Salut….